Plenty of brands talk about improving customer experiences, and social media management vendor, Hootsuite, is no different to the rest. But as actions speak louder than words, the business has introduced customer happiness into the remuneration structure of every employee. Today, one-third of all bonuses are dependent on Net Promoter Scores, the foundation metric used to gauge Hootsuite’s customer engagement efforts, according to its VP of marketing, vice-president of marketing, Dee Anna McPherson. “With so many customers online, there’s no excuse for us not to have a very good sense of who are the users of our products and what they think about it,” she told CMO “It’s important to have your ear to the ground and know who your buyers and prospects are, to then to map that customer journey, measure their happiness and use that to shape customer experiences. What is also giving Hootsuite’s customer efforts a leg up is the wealth of usage data and social feedback available thanks to its online software model, McPherson said. It’s this co-creation with customers that is changing the very nature of marketing, and the role marketers play in product creation, McPherson claimed. To prove the point, she cited increased collaboration between the marketing and product development functions at Hootsuite. It was also something McPherson witnessed during her three years with social messaging platform, Yammer, prior to joining Hootsuite. 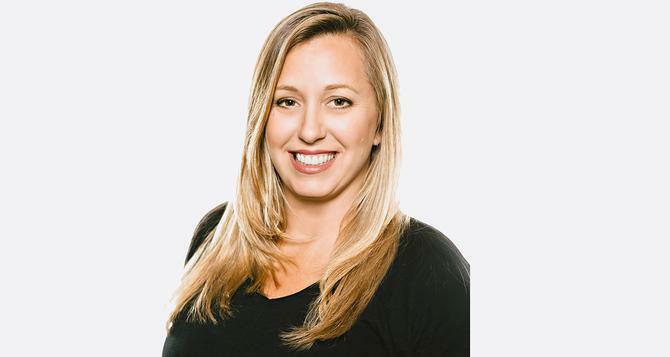 She wore many hats as Yammer rapidly expanded, first running communications before building the professional services group, overseeing customer support and finally, marketing. After Microsoft acquired Yammer in 2012, McPherson joined Hootsuite, and was tasked with transforming the company’s brand position and customer approach to suit its enterprise and global ambitions. In the last couple of years, the vendor has established its Asia-Pacific footprint as part of global expansion plans, and grown from a one-product, SME-oriented business to a multi-product company with its sights on the enterprise. To realise these ambitions, McPherson has led a rebranding effort modernising the brand while still retaining the personality it has been known for to date. At the same time as creating the marketing strategy for two startup organisations, McPherson has witnessed marketing as a discipline dramatically change. She attributed this to the rise of marketing automation software and digital marketing, along with the ability to track and measure activity in ways that can showcase marketing’s impact on the bottom line. “Marketing definitely has more of a seat at the executive table now, as we can show how we are driving revenue, customer experience and that carries a lot of weight in the organisation,” she said. The marketing mindset has had to undergo a substantial refit as a result. According to McPherson, one of the biggest areas to change is launching products. “You used to plan for a big launch – that ‘ta da’ moment - but those days are long gone,” she said. “Today we rollout a feature, see how the market responds, use that feedback to prove it and go bigger from there. That’s a big shift in the way we market and also how you think as a marketer. As an example, McPherson said her team might come up with an idea that starts as a piece of content, which it then uses to generate engagement via social channels. “It there’s great engagement, we’ll do a bigger piece of content, such as a video, then if it grows further, we might build a whole campaign,” she said. McPherson’s team and the skills in the marketing function have also changed to meet the new marketing paradigm. “Our content team plays really big role in testing content, our messaging and positioning,” she said. “You also have to create a diverse team that’s empowered and data-driven. But even as its audience segments broaden out, McPherson said the common denominator for Hootsuite is the “social strategist and practitioner”. “We focus a lot of our content on education for the social strategist, whether they’re in large or small business,” she said. “We have created a multichannel blog so we can segment, and we had to do a lot of work with our database and the content we offer. The ability to personalise content on the Web and via email is very important and we’re focused on social engagement strategy. One capability all marketers must gain agility in if they’re to continue meeting customer expectations is social media. McPherson said one early Hootsuite initiative that the organisation has benefitted from is a social ambassador program. The vendor has 1000 individuals, including customers, agency partners and supporters, who keep tabs on all the social tools it introduces and provide an advocacy platform to the wider community. It uses social advocacy product, Influitive, to manage and amplify content and messaging. Another key area for McPherson’s is the impact of social, and she agreed it remains a hot topic with Hootsuite customers. One trend she noted within the industry is the shift away from first-generation tools that were difficult to use and largely focused on in-depth reporting, to more distributed and therefore more actionable analytics. As a result, McPherson said analytics remains an area of continued investment for Hootsuite, and noted the acquisition of UberVU two years ago. First launched in the Hootsuite app, these capabilities are now integrated into the main dashboard. Management is another priority, and the vendor recently launched a product for managing campaigns and contests as part of these efforts. It’s also the emerging social use cases that are in Hootsuite’s sights. In the second half of the year, McPherson said a big focus is customer support functionality, including enhanced workflows for teams managing larger and larger volumes of customer inquiries via social channels. “We’re seeing social become that primary platform for customer service so you need more sophisticated reporting,” she said. Another emerging use case is customers wanting to extend the ability to share and post branded content on social channels to a broader group of employees, McPherson said. “We just launched a second version of our content library and we’ll keep working on improving that capability in the interest they have in amplifying or promoting company content,” she said. One example could be product teams using social to better follow competitors and market trends, McPherson said. “It’s really market data at their fingertips,” she said. Another opportunity, particularly in the B2B space, is social selling. McPherson pointed out that about 70 per cent of a B2B customer’s buyer journey is now done online. “Customers have done their research, read reviews, looked at content before they ever talk to your sales people,” she said. “You don’t control the journey like you used to. For sales people, they have a much shorter timeframe to engage with customers and build the relationship. They need to be active with customers online, and be positioned as subject matter experts.